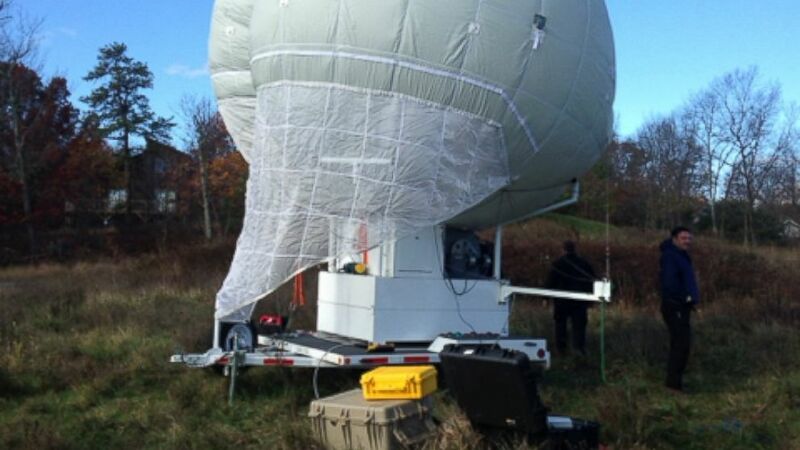 The Pennsylvania State Police have deployed a giant balloon to catch Eric Frein. Police are hoping they can finally outsmart the elusive suspect in the shooting death of a Pennsylvania state trooper with the use of a giant balloon. 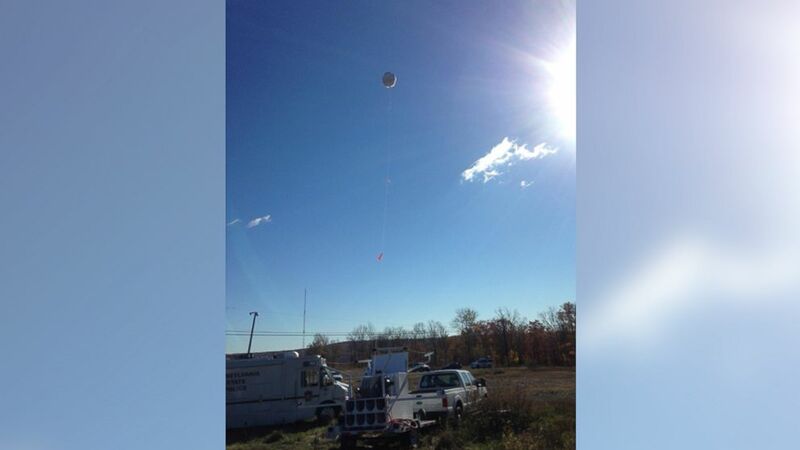 The balloon is an "experimental device" in the area of the Alpine Ski resort in Henryville, the Pennsylvania State Police said today. The Ohio Department of Transportation donated the use of the large Mylar balloon, which is similar to a weather balloon, to assist the police in their search for suspect Eric Frein, according to Trooper Tom Kelly. Frein, 31, is accused of killing Trooper Bryon Dickson and seriously wounding Trooper Alex Douglass in a shooting outside the Blooming Grove state police barracks on Sept. 12. He has been evading police for more than a month. (Courtesy Pennsylvania State Police) The Ohio Department of transportation has donated the use of a large Mylar balloon to assist the Pennsylvania State Police in their search for Eric Frein. The balloon is currently deployed in the area of the Alpine Ski Resort in Henryville, PA. Two photos in email I sent to photo DL. The balloon is tethered and unmanned, Kelly said. It can provide "similar levels of technology" as some of the police aviation equipment "at a fraction of the cost," he said, adding that it is silent, unlike the helicopters that have been used in the manhunt. 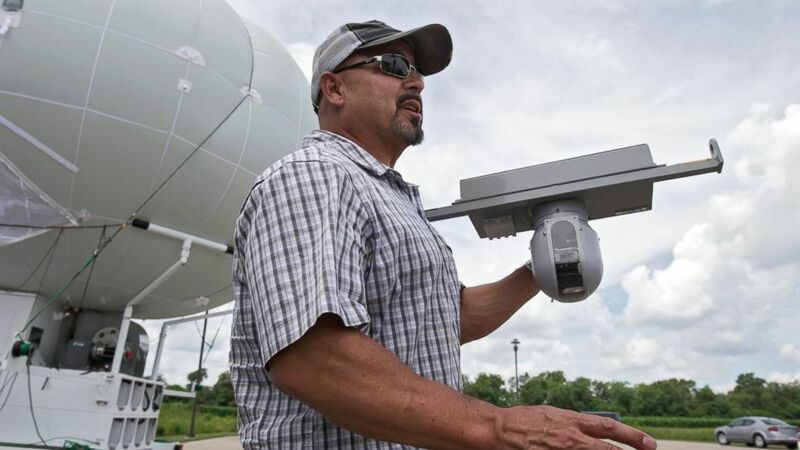 (Logan Riely/The Columbus Dispatch/AP Photo) In this June 26, 2014 photo, Rob King shows off the sensor that attaches to the bottom of a surveillance blimp, a large helium balloon that has cameras attached, at Ohio/Indiana Unmanned Aircraft Systems Center in Clintonville, Ohio. "As we stated before, we are utilizing many types of technology in this search for Eric Frein," Kelly said. Frein is on the FBI's "Ten Most Wanted" list. ABC News' Josh Haskell contributed to this report.